In many flood simulations, critical rainfall duration, defined as duration of rainfall which causes a critical flood, is assumed to be fixed. However, in some area, the critical rainfall duration varies upon its magnitude and assuming the fixed critical rainfall duration may underestimate an extreme peak discharge. The middle and lower Yom basin, Thailand, is one of the areas where a larger flood appears to coincide with longer critical rainfall duration. In this study, we have investigated the variation of critical rainfall duration in that area. The conceptual model was developed from HEC-HMS and HEC-RAS models. The upstream and downstream parts of the area were calibrated separately. Then, uniform 2-, 5-, and 10-year rainfalls with 24-, 48-, and 72-hour durations were simulated. The model successfully reproduced the variation of critical rainfall duration as 48 hours for 2- and 5-year rainfalls and 72 hours for 10-year rainfall. This variation is caused by a high percolation rate over the upstream area. With this percolation, some portion of rainfall over the upstream part is loss. Hence, most of the flood water comes from the downstream part which has short travel time. However, when the rainfall is larger, the influence of percolation is less. A. K. Fleig and D. Wilson, NIFS - Flood Estimation in Small Catchments, Norway: Norwegian Water Resources and Energy Directorate, 2013. U.S. Department of Agriculture, Natural Resources Conservation Service, Chapter 15 Time of Concentration, National Engineering Handbook, Part 630 Hydrology, U.S.: U.S. Department of Agriculture, Natural Resources Conservation Service, 2010. T. Tingsanchali and F. Karim, “Flood-hazard assessment and risk-based zoning of a tropical flood plain: Case study of the Yom River, Thailand”, Hydrological Sciences Journal, vol. 55(2), pp. 145-161, 2010. G. W. Brunner, HEC-RAS, River Analysis System Hydraulic Reference Manual, U.S.: Hydrologic Engineering Center, U.S. Army Corps of Engineers, 2010. A. D. Feldman, Hydrologic Modeling System HEC-HMS: Technical Reference Manual, U.S.: Hydrologic Engineering Center, U.S. Army Corps of Engineers, 2000. 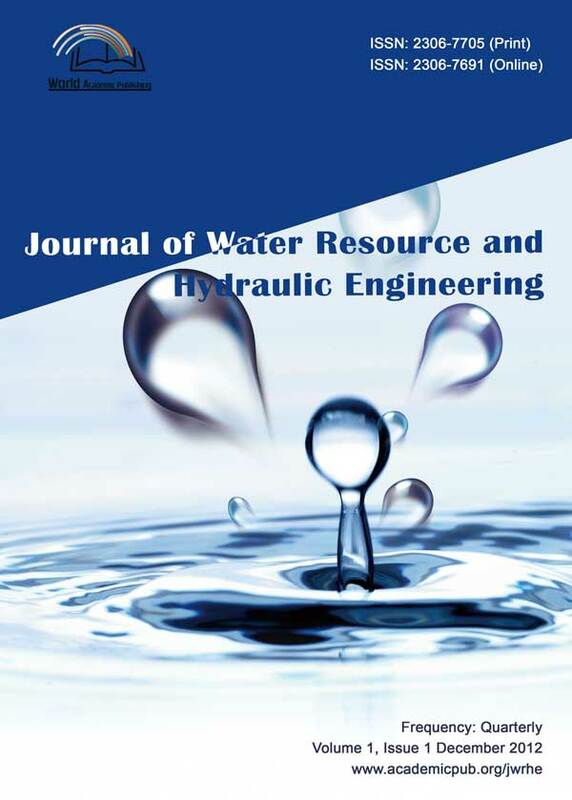 G. Lee, Y. Tachikawa, T. Sayama, and K. Takara, “Effect of spatial variability of rainfall on catchment responses in mesoscale mountainous area”, Annual Journal of Hydraulic Engineering, vol. 53, pp. 7-12, 2009. S. Kotsuki and K. Tanaka, “Impacts of mid-rainy season rainfall on runoff into the Chao Phraya River, Thailand”, Journal of Disaster Research, vol. 8(3), pp. 397-405, 2013. V. P. Singh, Elementary Hydrology, U.S.: Prentice Hall, 1992. E. S. Martins and J. R. Stedinger, “Generalized maximum-likelihood generalized extreme-value quantile estimators for hydrologic data”, Water Resources Research, vol. 36(3), pp. 737-744, 2000.